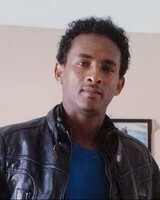 Provide comfort for the family of Efrem Tesfagabir with a meaningful gesture of sympathy. 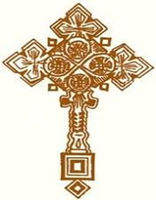 Efrem Beyene Tesfagaber (Efrem) made his departure after a long illness from this world on March 2, 2019 at St. Joseph's Health Centre Guelph. 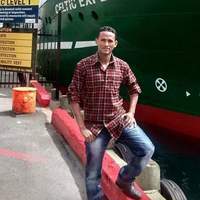 Efrem was born on June 1, 1982 in Tamagila, near Asmara, Eritrea, where he grew up in an extended family full of love, fun and friendship. Efrem was a firstborn to his loving mother Leteyesus Afeworki and his father Beyene Tesfagabr. His brother Gebrehiwet (Gebar) and sisters Azieb and Wegahta grew up looking up to him as the proud, funny and caring brother. To his childhood friends, Efrem was their neighbourhood teen whom they gravitated to and sought his advice and mentorship. Efrem arrived in Canada more than 6 years ago, and settled in Newfoundland before relocating to Guelph less than two years ago. During his long illness, in the last 17 months, the Eritrean community of Guelph, Kitchener and Toronto came together and provided support and prayers. His brother Gebar visited all the way from Eritrea and spent precious bittersweet time with him too. Close relatives and friends were constantly present supporting Efrem. His mother Leteyesus, his siblings, close friends and relatives will sorely miss Efrem. 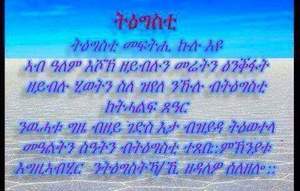 Efrem is predeceased by his father Beyene Tesfagabr. Efrem touched the lives of everyone he met and will be sadly missed by his extended family, friends and the Eritrean community. Efrem’s family will receive friends at Gilbert MacIntyre and Son Funeral Home, Hart Chapel, 1099 Gordon St, Guelph, ON, N1G 4X9 on Tuesday, March 5, 2019 from 12:00 pm for the funeral mass service, followed by burial at Woodlawn Memorial Park, 762 Woolwich Street, Guelph, ON, N1H 3Z1. A Celebration of Life and thanks will be held after the burial at Gilbert MacIntyre and Son Funeral Home, Hart Chapel, 1099 Gordon St, Guelph, ON, N1G 4X9. Cards are available at the funeral home, or donations and condolences may be made after burial. In addition, anyone who wishes to share photos, songs, sentiments, tributes and memories please use this dedicated email amanvolunteer@gmail.com. Efrem’s family extends its deep appreciation to the healthcare team, including the Social Worker and Chaplain, at St. Joseph’s Health Centre Guelph (SJHCG) for all the care and empathy accorded to Efrem. Sincere thanks are due to the Eritrean Community of Guelph, his friends who took care of him and to the countless people who prayed and called from various countries abroad. We encourage you to share your most beloved memories of Efrem Tesfagabir here, so that the family and other loved ones can always see it. You can upload cherished photographs, or share your favorite stories, and can even comment on those shared by others.